Introducing our Season 2019 Coaches! Huge Congratulations & Thanks to all! $500,000 from Michael Sukkar for Ainslie Park!! 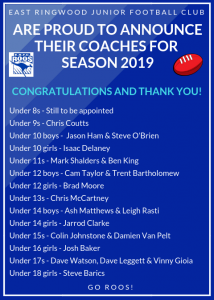 No Replies to "Introducing our season 2019 Coaches"